Delta Air Lines will tighten the requirements for passengers traveling with service and emotional support animals effective March 1, 2018. This comes in response to a 150% increase in service and support animals since 2015. Those animals are often dogs assisting people with disabilities. 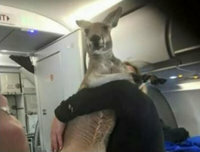 The carrier cites a lack of regulation – even under Trump - that has led to serious safety risks involving untrained animals in flight. 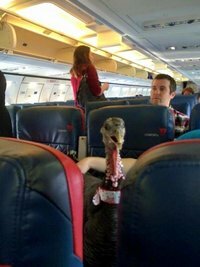 Passengers have attempted to fly with comfort turkeys, gliding possums, snakes, spiders and more. Delta has seen an 84% increase in reported animal incidents since 2016, including urination/defecation, biting and even an attack by a 70-pound dog. In 2017, Delta employees reported increased acts of aggression (barking, growling, lunging and biting) from service and support animals, behavior not typically seen in these animals when properly trained and working. 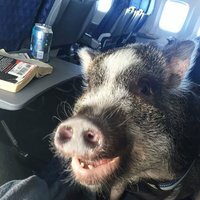 An example is the emotional support dog of a passenger on a Delta Air Lines flight from Atlanta to San Diego that attacked another passenger prior to departure on June 3, 2017. His face was completely bloody, his shirt was covered in blood and he required medical attention. 1. Confirm you have some type of emotional or psychological disability. 2. Qualify your animal as manageable in public using the NSAR Public Access Test. Within 3-4 business days the NSAR will send you 2 identification cards that identify your animal as an emotional support animal. To legally qualify to have a service dog, you must have a physical impairment or psychiatric impairment that substantially limits your ability to perform at least 1 major life activity – for example walking - without assistance. It is not necessary to possess a letter from a physician that states you are disabled and require a trained service dog. 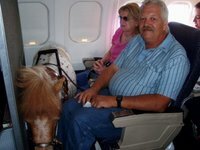 Therefore, Delta will require passengers traveling with an emotional support animal to submit a letter signed by a doctor or licensed mental health professional, and a signed Confirmation of Animal Training form to Delta’s Service Animal Support Desk via Delta.com at least 48 hours in advance of travel. Customers traveling with a trained service animal will be required to submit a signed Veterinary Health Form and/or an immunization record for their animal under the same conditions. The National Federation of the Blind (NFB) stated on January 19, 2018 to be deeply concerned about Delta’s plan. They are particularly troubled by the requirement that guide dog users submit paperwork to Delta 48 hours before flying. Guide dog users will no longer be able to fly Delta in family, medical, or other emergencies. The NFB is asking for an urgent meeting with Delta and stand ready to work with it and other airlines to craft fair and reasonable policies to address the concerns of air carriers, their personnel, and their passengers, without imposing undue, unsupported, and unlawful hardships on guide dog users.